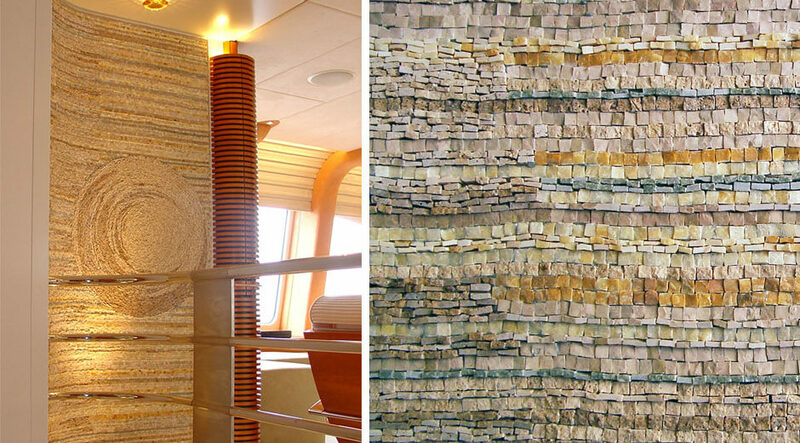 Mosaic artwork for a Yacht. Creation of a contemporary mosaic mural. Project designed by interior designers. Unique artwork designed and made in Stuc & Mosaic’s studio and delivered on a building site in Germany. Creation on marine plywood panel. Mosaic with uneven marble, fully cut by hand with a hammer and a hardie. Marble entirely cut in the traditional way with the hammer. Offer yourself a unique mosaic artwork! 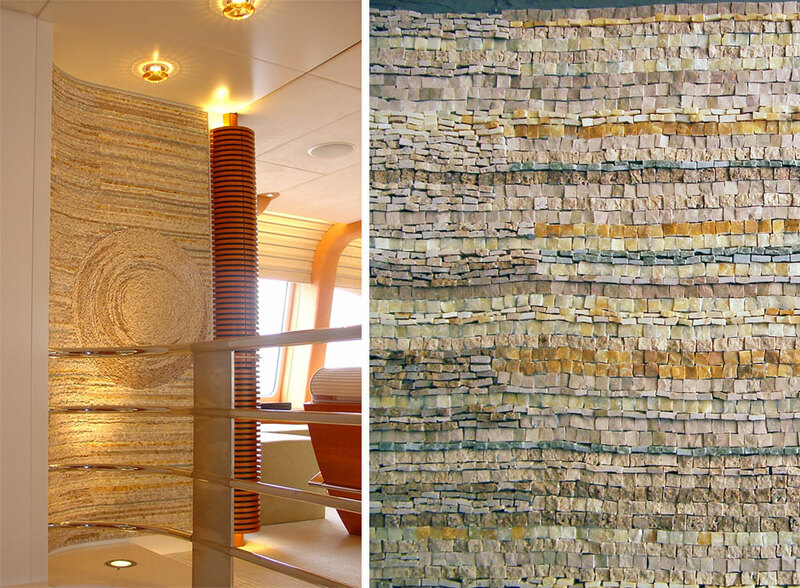 Of course, a mosaic artwork distinguishes itself from an industrial mosaic because of its exclusive unique character, artist’s style and emotion it conveys whereas an industrial mosaic is cut with machines and remains impersonal.